Norman is sitting, next to his cousin John Alan Watson. Norman was killed near the Crucifix across the river from Aveluy. On the front of the photo is written: "Somewhere in France April 1916" and on the reverse:"Alan and his cousin Norman McMorrin , met in France, & Norman was killed on his way back to camp at a crossroads the Germans were shelling. He was only 20 years old" John Alan Watson survived the War. Siege arrived and are digging in. Went over and saw Norman McMorrin. Germans dropped a few shells - splinters whizzed over our heads." For Phil Watson, Grandson of John Alan. Patrick was a married man residing at 4, Alma Street, Walsall with his wife and two children. An iron works labourer, he had only been at the front nine weeks when he succumbed to injuries at an Advanced Dressing Station at Aveluy. Australian Private 1170Australian Infantry A.I.F.11/04/1917 Age: 27 N. 41. United Kingdom Private 15225Highland Light Infantry11/01/1916 Age: 24 C. 11. United Kingdom Private 16078Highland Light Infantry22/04/1916 Age: 29 E. 34. United Kingdom Lance Corporal TF/1391Royal Sussex Regiment16/09/1916 Age: 23 J. 33. United Kingdom Second Lieutenant Royal Flying Corps15/09/1917 G. 27. United Kingdom Private 26656Sherwood Foresters (Notts and Derby Regiment)23/09/1916 Age: 35 J. 27. United Kingdom Second Lieutenant Border Regiment14/09/1916 Age: 21 J. 4. United Kingdom Private 14102Highland Light Infantry04/01/1916 C. 9. United Kingdom Private 12245Northamptonshire Regiment08/07/1916 Age: 19 G. 8. United Kingdom Serjeant 16/194Northumberland Fusiliers20/02/1916 D. 4. Australian Private 4902Australian Infantry A.I.F.05/04/1917 Age: 22 N. 31. United Kingdom Private 18806Queen's Own (Royal West Kent Regiment)23/01/1917 L. 5. Australian Private 4651Australian Infantry A.I.F.29/03/1917 Age: 27 N. 8. United Kingdom Second Lieutenant Lancashire Fusiliers01/07/1916 Age: 27 F. 38. Australian Private 3681Australian Infantry A.I.F.30/03/1917 N. 11. United Kingdom Private 15477Highland Light Infantry15/01/1916 Age: 26 C. 10. United Kingdom Gunner 114653Royal Field Artillery09/02/1917 Age: 20 L. 14. United Kingdom Private 16/819Northumberland Fusiliers20/02/1916 D. 5. Australian Private 2973Australian Infantry A.I.F.01/05/1917 N. 48. United Kingdom Lance Corporal 16239Northamptonshire Regiment08/08/1916 H. 17. United Kingdom Private 20509Essex Regiment20/02/1917 M. 24. United Kingdom Private 15515Highland Light Infantry01/02/1916 Age: 20 C. 21. United Kingdom Private 20369Royal Warwickshire Regiment10/12/1916 Age: 19 K. 24. United Kingdom Private 3520The Loyal North Lancashire Regiment03/11/1915 B. 29. United Kingdom Sapper 3275Royal Engineers21/12/1916 Age: 31 K. 15. United Kingdom Second Lieutenant Gloucestershire Regiment08/12/1916 M. 43. United Kingdom Lance Corporal 16230Highland Light Infantry31/01/1916 Age: 22 C. 17. United Kingdom Driver 40257Royal Field Artillery15/04/1917 Age: 23 N. 43. United Kingdom Private G/15436The Queen's (Royal West Surrey Regiment)28/07/1916 H. 31. United Kingdom Private 2519Lancashire Fusiliers28/09/1915 B. 21. United Kingdom Private 36719Royal Berkshire Regiment19/01/1917 G. 34. United Kingdom Private G/6174Middlesex Regiment29/08/1915 Age: 19 B. 5. United Kingdom Private 43013Northamptonshire Regiment17/02/1917 Age: 32 M. 35. United Kingdom Serjeant S/9363Queen's Own (Royal West Kent Regiment)24/01/1917 Age: 19 L. 3. United Kingdom Private 16/1244Northumberland Fusiliers02/05/1915 Age: 20 E. 27. United Kingdom Private 4/8249West Yorkshire Regiment (Prince of Wales's Own)14/05/1916 Age: 29 E. 15. United Kingdom Private 2763Yorkshire Dragoons Yeomanry (Queen's Own)21/10/1916 Age: 23 K. 34. United Kingdom Private G/8714Middlesex Regiment27/04/1916 E. 28. United Kingdom Second Lieutenant Royal Field Artillery28/09/1916 J. 19 . United Kingdom Second Lieutenant Seaforth Highlanders23/12/1916 K. 12. United Kingdom Private 19The Loyal North Lancashire Regiment15/11/1915 A. 29. United Kingdom Sapper 93364Royal Engineers02/02/1916 Age: 33 C. 22. United Kingdom Lance Serjeant 5/4095King's Royal Rifle Corps16/02/1917 Age: 30 M. 38. United Kingdom Private 37166Welsh Regiment30/10/1916 Age: 19 K. 31. United Kingdom Private 3728Argyll and Sutherland Highlanders13/11/1915 B. 32. United Kingdom Private 15848Lincolnshire Regiment25/09/1916 Age: 25 J. 26. Australian Corporal 12Australian Infantry A.I.F.09/04/1917 Age: 36 N. 34. United Kingdom Private 2269Royal Inniskilling Fusiliers10/03/1916 D. 11. United Kingdom Second Lieutenant The Buffs (East Kent Regiment)03/07/1916 Age: 26 F. 42. Australian Private 5565Australian Infantry A.I.F.04/04/1917 Age: 41 N. 27. United Kingdom Second Lieutenant Royal Engineers25/12/1916 F. 13. United Kingdom Sapper 112658Royal Engineers01/01/1917 F. 10. United Kingdom Second Lieutenant Royal Field Artillery31/10/1916 Age: 20 L. 49. United Kingdom Rifleman 4438Rifle Brigade30/06/1916 G. 2. United Kingdom Driver T4/159457Army Service Corps05/09/1917 G. 9. United Kingdom Lance Corporal 8258Army Cyclist Corps06/08/1916 F. 14. 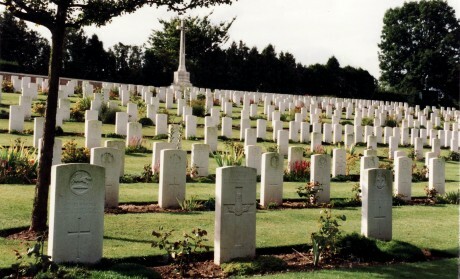 United Kingdom 2nd Corporal 43924Royal Engineers05/08/1916 Age: 27 H. 27. United Kingdom Private 12499Northamptonshire Regiment08/07/1916 G. 7. United Kingdom Private L/14554Royal Fusiliers04/02/1917 K. 3. United Kingdom Private 16054Northamptonshire Regiment08/08/1916 H. 15. United Kingdom Private G/31042Royal Fusiliers13/10/1916 L. 51. United Kingdom Private 18903Northamptonshire Regiment16/08/1916 G. 38. United Kingdom Private 7969West Yorkshire Regiment (Prince of Wales's Own)14/05/1916 E. 16. Australian Private 4385Australian Infantry A.I.F.26/03/1917 M. 4. United Kingdom Private 17/1072Northumberland Fusiliers14/05/1916 E. 13. United Kingdom Major Royal Field Artillery19/09/1916 Age: 28 H. 39. United Kingdom Lance Corporal 19549Essex Regiment03/07/1916 Age: 22 F. 46. United Kingdom Private 20929King's Own Yorkshire Light Infantry09/02/1916 C. 31. United Kingdom Private 15241Highland Light Infantry02/02/1916 Age: 22 C. 18. United Kingdom Second Lieutenant Royal Field Artillery31/10/1916 L. 46. United Kingdom Sapper 139809Royal Engineers13/10/1916 Age: 20 K. 38. Australian Corporal 2132Australian Infantry A.I.F.01/04/1917 Age: 32 N. 21. United Kingdom Private 2701King's Own (Royal Lancaster Regiment)14/08/1915 Age: 24 B. 10. United Kingdom Second Lieutenant Royal Field Artillery11/02/1917 Age: 23 L. 18. United Kingdom Private 45663Devonshire Regiment28/03/1917 Age: 23 N. 7. United Kingdom Sapper 157759Royal Engineers06/03/1917 Age: 41 M. 17. United Kingdom Private 13597Cameronians (Scottish Rifles)19/05/1916 E. 36. United Kingdom Second Lieutenant Royal Engineers30/01/1917 K. 6. United Kingdom Gunner 55748Royal Garrison Artillery20/09/1916 G. 4. United Kingdom Serjeant 82785Royal Engineers27/08/1918 Age: 39 J. 48. United Kingdom Second Lieutenant Northamptonshire Regiment29/07/1916 Age: 33 F. 64. United Kingdom Private 2961Lancashire Fusiliers13/09/1915 B. 1. United Kingdom Sapper 93621Royal Engineers16/12/1915 A. 31. United Kingdom Private 19150Norfolk Regiment04/07/1916 F. 49. United Kingdom Sapper 37185Royal Engineers22/09/1916 Age: 37 J. 37. United Kingdom Lance Corporal 4/8611West Yorkshire Regiment (Prince of Wales's Own)01/07/1916 Age: 20 F. 41. United Kingdom Bombardier 2506Royal Garrison Artillery21/08/1916 Age: 30 G. 25. United Kingdom Serjeant 1693King's Own (Royal Lancaster Regiment)15/10/1915 Age: 22 A. 23. United Kingdom Major Royal Engineers11/03/1917 Age: 32 L. 1. United Kingdom Private 17/1125Northumberland Fusiliers15/03/1916 D. 14. United Kingdom Gunner 119890Royal Garrison Artillery12/04/1917 N. 40. United Kingdom Captain South Staffordshire Regiment11/09/1916 Age: 21 F. 69. United Kingdom Gunner 442Royal Garrison Artillery23/08/1916 Age: 25 G. 29. Australian Private 5345Australian Infantry A.I.F.31/03/1917 N. 12. United Kingdom Private 49877Cheshire Regiment21/11/1916 Age: 24 M. 47. United Kingdom Rifleman 9780Royal Irish Rifles30/06/1916 Age: 26 F. 17. United Kingdom Sapper 132918Royal Engineers06/03/1917 M. 19. United Kingdom Private 22649Border Regiment07/09/1916 H. 5. United Kingdom Private G/34060Middlesex Regiment18/02/1917 M. 28. United Kingdom Rifleman 6162Rifle Brigade11/05/1916 E. 17. United Kingdom Private 13617Highland Light Infantry18/03/1916 D. 21. United Kingdom Private 13723Highland Light Infantry16/03/1916 D. 15. United Kingdom Private 2878Seaforth Highlanders12/12/1915 A. 33. United Kingdom Private 7284Royal Warwickshire Regiment10/12/1916 K. 23. United Kingdom Rifleman R/10652King's Royal Rifle Corps16/02/1917 Age: 22 M. 39. United Kingdom Lance Corporal G/1049The Buffs (East Kent Regiment)03/07/1916 F. 35. United Kingdom Driver 881Royal Field Artillery17/12/1916 Age: 18 K. 20. United Kingdom Private 25449Northamptonshire Regiment19/02/1917 Age: 28 M. 29. United Kingdom Lieutenant East Yorkshire Regiment26/09/1916 Age: 22 J. 25. United Kingdom Private 6The Loyal North Lancashire Regiment11/09/1915 B. 2. United Kingdom Private 16/334Northumberland Fusiliers02/03/1916 Age: 33 D. 8. United Kingdom Lance Corporal 14698Lancashire Fusiliers11/07/1916 G. 5. United Kingdom Second Lieutenant The Buffs (East Kent Regiment)03/07/1916 F. 67. United Kingdom Second Lieutenant King's Royal Rifle Corps17/02/1917 Age: 29 M. 25. United Kingdom Rifleman 6/485Rifle Brigade01/07/1916 F. 32. United Kingdom Sapper 1772Royal Engineers20/08/1916 G. 37. United Kingdom Private 40554Cameronians (Scottish Rifles)09/05/1917 Age: 31 C. 43. United Kingdom Private 14727Suffolk Regiment16/02/1917 Age: 23 M. 42. United Kingdom Gunner 13352Royal Garrison Artillery25/12/1916 K. 9. Australian Gunner 997Australian Field Artillery13/02/1917 L. 19. United Kingdom Private 202276Duke of Wellington's (West Riding Regiment)04/04/1917 Age: 22 N. 33. United Kingdom Private 27332The Loyal North Lancashire Regiment06/11/1916 K. 28. Australian Private 2385Australian Infantry A.I.F.05/04/1917 Age: 20 N. 28. United Kingdom Corporal 498235Royal Engineers24/01/1917 Age: 30 L. 10. United Kingdom Serjeant 533Cameronians (Scottish Rifles)12/10/1915 Age: 40 B. 22. United Kingdom Corporal 17670Royal Field Artillery15/10/1916 Age: 21 J. 10. United Kingdom Private 7700Royal Scots19/10/1915 Age: 24 B. 24. United Kingdom Rifleman 2545West Yorkshire Regiment (Prince of Wales's Own)02/06/1916 Age: 39 E. 37. United Kingdom Private 17128The Loyal North Lancashire Regiment21/11/1916 M. 49. United Kingdom Gunner 840871Royal Field Artillery17/01/1917 G. 33. United Kingdom Driver 560Royal Field Artillery02/11/1915 A. 25. United Kingdom Private 19010South Wales Borderers16/09/1915 B. 19. United Kingdom Gunner 46117Royal Garrison Artillery25/07/1916 H. 37. United Kingdom Private 12506 10th (Prince of Wales's Own Royal) Hussars10/10/1916 K. 44. United Kingdom Corporal 8447Lincolnshire Regiment22/09/1916 Age: 38 J. 28. United Kingdom Private 9556Norfolk Regiment03/07/1916 F. 48. United Kingdom Corporal 7560Devonshire Regiment11/05/1916 D. 33. United Kingdom Private G/2035Queen's Own (Royal West Kent Regiment)23/01/1917 L. 7. United Kingdom Private 17119Duke of Cornwall's Light Infantry07/02/1917 L. 2. United Kingdom Lance Corporal 23061King's Own Yorkshire Light Infantry25/01/1916 C. 16. United Kingdom Private 21937York and Lancaster Regiment28/06/1916 Age: 26 B. 40. United Kingdom Sapper 4341Royal Engineers21/12/1916 Age: 30 K. 15. United Kingdom Private G/5414East Surrey Regiment02/03/1917 M. 22. United Kingdom Private 18613Northamptonshire Regiment22/03/1917 M. 6. Australian Private 2091Australian Pioneers20/07/1917 A. 39. United Kingdom Private G/6419Queen's Own (Royal West Kent Regiment)03/07/1916 F. 30. United Kingdom Private 3/7296Norfolk Regiment06/02/1917 Age: 23 L. 12. United Kingdom Private 18632Royal Berkshire Regiment01/07/1916 F. 22. United Kingdom Private 16/1138Northumberland Fusiliers02/03/1916 D. 7. United Kingdom Lance Corporal 1212Royal Engineers18/08/1916 Age: 24 G. 40. United Kingdom Private 14028Norfolk Regiment10/03/1917 M. 14. United Kingdom Lance Corporal 7539Royal Scots19/10/1915 Age: 24 B. 23. United Kingdom Gunner 909Royal Garrison Artillery24/12/1916 K. 10. United Kingdom Sapper 1153Royal Engineers18/08/1916 G. 40. United Kingdom Private G/31593Royal Fusiliers03/02/1917 K. 4. United Kingdom Private 2343Royal Army Medical Corps28/08/1916 Age: 28 G. 13. United Kingdom Rifleman 6266Rifle Brigade27/05/1916 Age: 18 E. 9. United Kingdom Rifleman S/14847Rifle Brigade27/05/1916 Age: 19 E. 8. United Kingdom Private 10063Northamptonshire Regiment08/08/1916 H. 19. United Kingdom Private 33517Suffolk Regiment18/02/1917 M. 27. United Kingdom Acting Bombardier 4384Royal Field Artillery17/12/1916 K. 21. United Kingdom Private 680271London Regiment02/10/1917 J. 43. United Kingdom Corporal G/16525Queen's Own (Royal West Kent Regiment)04/03/1917 M. 21. United Kingdom Lance Corporal 17355Border Regiment09/02/1916 C. 30. United Kingdom Sapper 47065Royal Engineers12/09/1916 Age: 34 J. 35. United Kingdom Private 1972Seaforth Highlanders18/12/1915 Age: 21 C. 6. United Kingdom Lieutenant The Queen's (Royal West Surrey Regiment)03/07/1916 Age: 20 F. 58. United Kingdom Driver 920Royal Field Artillery04/06/1916 E. 6. Australian Private 5332Australian Infantry A.I.F.31/03/1917 Age: 25 N. 20. United Kingdom Private 17892Royal Inniskilling Fusiliers23/01/1916 Age: 20 C. 15. United Kingdom Private 15278Highland Light Infantry22/04/1916 Age: 23 E. 31. United Kingdom Sapper 79670Royal Engineers06/03/1917 M. 18. United Kingdom Lance Corporal 6/258Rifle Brigade26/06/1916 F. 6. United Kingdom Gunner 4690Royal Field Artillery16/12/1916 L. 23. United Kingdom Lieutenant Royal Engineers20/02/1917 Age: 30 M. 26. United Kingdom Private 53786Welsh Regiment06/11/1916 K. 30. United Kingdom Private 27368The Loyal North Lancashire Regiment13/11/1916 K. 25. United Kingdom Rifleman S/15182Rifle Brigade16/06/1916 D. 39. United Kingdom Private TF/2859Royal Sussex Regiment09/08/1916 G. 21. United Kingdom Regimental Serjeant Major 9617Royal Garrison Artillery07/05/1917 Age: 32 N. 49. United Kingdom Lance Corporal 9227Royal Fusiliers27/03/1918 Sp. Mem. 3. United Kingdom Corporal 128923Royal Engineers24/06/1916 Age: 45 E. 3. United Kingdom Lance Corporal 22366South Lancashire Regiment02/10/1916 Age: 23 J. 16. United Kingdom Lance Corporal 10782Cameronians (Scottish Rifles)26/06/1916 Age: 23 D. 41. Australian Private 1911/AAustralian Infantry A.I.F.09/04/1917 N. 35. United Kingdom Lieutenant Royal Field Artillery23/08/1916 Age: 23 G. 46. United Kingdom Private 17/650Northumberland Fusiliers04/07/1916 G. 3. United Kingdom Private G/31926Royal Fusiliers04/10/1916 K. 49. United Kingdom Private 14707Royal Berkshire Regiment25/07/1917 H. 9. United Kingdom Private 18859Devonshire Regiment19/06/1916 Age: 42 C. 42. United Kingdom Lieutenant Royal Berkshire Regiment03/07/1916 Age: 29 H. 38. United Kingdom Lieutenant Royal Berkshire Regiment01/07/1916 Age: 20 F. 26. United Kingdom Private 23539King's Own Yorkshire Light Infantry09/02/1916 C. 27. Australian Private 1686Australian Infantry A.I.F.30/03/1917 N. 16. United Kingdom Private 9316Army Cyclist Corps02/05/1916 Age: 19 E. 22. Australian Second Lieutenant Australian Infantry A.I.F.24/07/1917 Age: 36 A. 40. United Kingdom Private 21480King's Own Yorkshire Light Infantry10/02/1916 C. 31. United Kingdom Lance Corporal 17551Norfolk Regiment12/03/1917 Age: 27 M. 12. United Kingdom Private 16355Lincolnshire Regiment22/09/1916 Age: 40 J. 29. United Kingdom Sapper 103066Royal Engineers05/08/1916 Age: 32 H. 25. United Kingdom Private 4261King's Own Yorkshire Light Infantry19/06/1916 Age: 20 B. 37. United Kingdom Private 4/8487West Yorkshire Regiment (Prince of Wales's Own)29/06/1916 F. 27. United Kingdom Gunner 4684Royal Field Artillery04/12/1916 Age: 19 L. 29. United Kingdom Second Lieutenant The Queen's (Royal West Surrey Regiment)03/07/1916 Age: 21 F. 59. United Kingdom Private 11014Border Regiment27/09/1916 J. 23. United Kingdom Private 20266Machine Gun Corps (Infantry)05/07/1916 F. 37. United Kingdom Corporal 94409Royal Field Artillery11/07/1916 Age: 19 G. 15. United Kingdom Sapper 93474Royal Engineers18/12/1915 A. 31. Australian Private 5866Australian Infantry A.I.F.27/03/1917 Age: 27 N. 3. United Kingdom Captain Royal Flying Corps31/08/1917 Age: 21 F. 9. United Kingdom Private 5114Seaforth Highlanders23/12/1916 Age: 29 K. 11. United Kingdom Lance Corporal 2969Duke of Cornwall's Light Infantry17/12/1916 Age: 25 L. 36. United Kingdom Lance Corporal 2356Lancashire Fusiliers05/11/1915 A. 26. Australian Private 1717Australian Infantry A.I.F.29/03/1917 M. 2. United Kingdom Private 47289The King's (Liverpool Regiment)17/02/1917 Age: 36 L. 21. United Kingdom Private G/13729The Queen's (Royal West Surrey Regiment)18/11/1916 Age: 29 M. 48. United Kingdom Private 17584Lancashire Fusiliers10/03/1916 D. 12. United Kingdom Private 36331Royal Berkshire Regiment22/03/1917 M. 7. United Kingdom Private G/31953Royal Fusiliers04/10/1916 Age: 36 K. 51. United Kingdom Sapper 41815Royal Engineers21/09/1916 J. 8. United Kingdom Lieutenant Colonel Royal Engineers10/03/1917 Age: 38 M. 1. United Kingdom Driver 498240Royal Engineers24/01/1917 Age: 33 L. 8. United Kingdom Private 15333Sherwood Foresters (Notts and Derby Regiment)01/07/1916 F. 24. United Kingdom Private 19337York and Lancaster Regiment02/06/1916 Age: 21 C. 37. United Kingdom Private 3071King's Own Yorkshire Light Infantry09/02/1916 Age: 39 C. 31. United Kingdom Gunner L/21145Royal Field Artillery09/12/1916 L. 28. United Kingdom Private L/9567The Buffs (East Kent Regiment)07/08/1916 H. 14. United Kingdom Sapper 902Royal Engineers18/08/1916 Age: 20 G. 40. United Kingdom Private 15481Northamptonshire Regiment08/07/1916 F. 62. United Kingdom Private 19055Machine Gun Corps (Infantry)08/08/1916 Age: 30 H. 13. United Kingdom Lance Corporal 3257Oxford and Bucks Light Infantry13/08/1916 Age: 23 F. 66. United Kingdom Sapper 5278Royal Engineers11/09/1916 Age: 40 J. 4. United Kingdom Lance Corporal 101513Royal Engineers22/09/1916 Age: 32 J. 36. United Kingdom Driver 1406Royal Field Artillery13/10/1916 Age: 27 J. 12. United Kingdom Sapper 33563Royal Engineers25/03/1916 Age: 23 D. 23. United Kingdom Private 5420 10th (Prince of Wales's Own Royal) Hussars10/10/1916 Age: 26 K. 47. United Kingdom Private 12438Essex Regiment03/07/1916 F. 40. United Kingdom Private 56522The King's (Liverpool Regiment)21/01/1917 D. 18. Australian Private 3852Australian Infantry A.I.F.05/04/1917 Age: 34 N. 30. United Kingdom Private 2843The Loyal North Lancashire Regiment06/11/1915 B. 31. United Kingdom Lance Corporal 20722Northamptonshire Regiment06/07/1916 Age: 40 F. 39. Australian Private 2841Australian Infantry A.I.F.05/04/1917 Age: 21 N. 32. United Kingdom Gunner 58274Royal Garrison Artillery04/04/1917 Age: 28 N. 29. United Kingdom Sapper 102154Royal Engineers07/03/1917 M. 20. United Kingdom Sapper 787Royal Engineers18/08/1916 G. 40. United Kingdom Corporal 15857Highland Light Infantry03/01/1916 Age: 27 C. 8. United Kingdom Lance Corporal 8914Devonshire Regiment22/04/1916 Age: 24 D. 28. United Kingdom Private G/5216Queen's Own (Royal West Kent Regiment)23/01/1917 L. 4. United Kingdom Rifleman S/6540Rifle Brigade07/05/1916 E. 20. United Kingdom Second Lieutenant Rifle Brigade30/06/1916 Age: 31 F. 2. United Kingdom Sapper 2945Royal Engineers20/08/1916 Age: 19 G. 36. United Kingdom Private S/10267Gordon Highlanders31/03/1917 Age: 21 N. 14. United Kingdom Private 17640Lancashire Fusiliers14/03/1916 D. 13. United Kingdom Private 22609Highland Light Infantry16/04/1916 D. 26. United Kingdom Private G/7729The Buffs (East Kent Regiment)03/07/1916 F. 36. United Kingdom Gunner 495Royal Field Artillery21/08/1916 Age: 19 G. 26. United Kingdom Private 21712Border Regiment14/09/1916 Age: 21 J. 6. United Kingdom Second Lieutenant Lincolnshire Regiment29/09/1916 J. 20. Australian Private 5691Australian Infantry A.I.F.27/03/1917 N. 1. United Kingdom Private 22549Border Regiment14/09/1916 Age: 19 J. 3. United Kingdom Private 3527Gordon Highlanders02/12/1916 L. 33. United Kingdom Private 7078Cameronians (Scottish Rifles)25/06/1916 E. 43. United Kingdom Private 3353Lancashire Fusiliers03/11/1915 B. 28. United Kingdom Private G/5146Middlesex Regiment08/06/1916 Age: 31 E. 5. Indian Labourer 1021Indian Labour Corps10/10/1917 J. 38. United Kingdom Gunner 3771Royal Field Artillery16/12/1916 Age: 21 L. 26. United Kingdom Private 13972South Wales Borderers15/11/1916 Age: 25 L. 44. United Kingdom Private 2957Yorkshire Dragoons Yeomanry (Queen's Own)21/08/1916 G. 32. United Kingdom Corporal 9161West Yorkshire Regiment (Prince of Wales's Own)01/07/1916 Age: 26 F. 51. United Kingdom Private 10694Lancashire Fusiliers17/03/1916 Age: 19 D. 19. United Kingdom Serjeant L/25968Royal Field Artillery07/07/1916 F. 60. Canadian Private 474271Canadian Infantry (British Columbia Regiment)16/11/1916 Age: 32 L. 35. United Kingdom Private 9881Dorsetshire Regiment27/09/1916 J. 24. Canadian Sergeant 102670Canadian Pioneers10/10/1916 Age: 34 K. 39. United Kingdom Private 31174South Lancashire Regiment08/11/1916 K. 29. United Kingdom Private 4801King's Own Yorkshire Light Infantry01/06/1916 E. 42. United Kingdom Private 11720Lancashire Fusiliers20/03/1916 D. 22. United Kingdom Private 3192Highland Light Infantry28/12/1915 C. 7. United Kingdom Private 15592Lincolnshire Regiment22/09/1916 J. 30. United Kingdom Private 32413South Staffordshire Regiment16/03/1917 M. 11. United Kingdom Serjeant 2632Lancashire Fusiliers13/10/1915 Age: 36 A. 22. United Kingdom Private G/2535Royal Sussex Regiment25/02/1917 Age: 21 M. 23. United Kingdom Sapper 93330Royal Engineers14/07/1916 Age: 21 G. 17. United Kingdom Private 15001Border Regiment07/09/1916 H. 6. United Kingdom Sapper Deal/5609(S)Royal Marines15/01/1917 Age: 23 G. 30. United Kingdom Sapper 1235Royal Engineers25/08/1916 Age: 27 G. 39. United Kingdom Private 11530West Yorkshire Regiment (Prince of Wales's Own)06/06/1916 E. 39. United Kingdom Private TF/2743Royal Sussex Regiment16/08/1916 Age: 21 G. 23. United Kingdom Private 29312Norfolk Regiment17/02/1917 M. 31. United Kingdom Private 27156The Loyal North Lancashire Regiment01/10/1916 J. 18. United Kingdom Private 4967Gloucestershire Regiment24/12/1916 Age: 23 L. 22. Australian Private 2160Australian Infantry A.I.F.03/04/1917 Age: 20 N. 25. United Kingdom Private 1992Argyll and Sutherland Highlanders20/11/1915 A. 30. United Kingdom Private 9549Royal Inniskilling Fusiliers20/02/1916 D. 6. United Kingdom Private G/1044The Buffs (East Kent Regiment)03/07/1916 F. 34. United Kingdom Rifleman 6000Rifle Brigade26/06/1916 Age: 19 E. 2. United Kingdom Sapper 498299Royal Engineers21/12/1916 K. 15. United Kingdom Lieutenant The Buffs (East Kent Regiment)07/07/1916 Age: 19 F 68. United Kingdom Gunner 26087Royal Garrison Artillery18/12/1916 K. 18. United Kingdom Private 3247King's Own Yorkshire Light Infantry08/02/1916 Age: 42 C. 24. United Kingdom Lance Corporal 3/8231Devonshire Regiment05/06/1916 D. 35. South African Private 4053South African Native Labour Corps19/01/1917 Age: 40 K. 2. United Kingdom Private 1777Royal Scots14/11/1915 A. 27. United Kingdom Private 26528King's Shropshire Light Infantry31/05/1917 Age: 22 A. 34. United Kingdom Private 4/7907West Yorkshire Regiment (Prince of Wales's Own)01/07/1916 G. 10. United Kingdom Lance Corporal 498294Royal Engineers24/01/1917 Age: 29 L. 9. United Kingdom Private 3515Highland Light Infantry03/01/1916 Age: 19 C. 12. Australian Lance Corporal 2864Australian Infantry A.I.F.30/03/1917 N. 17. Australian Private 444Australian Infantry A.I.F.31/03/1917 N. 13. United Kingdom Sapper 1575Royal Engineers23/07/1916 G. 19. United Kingdom Private 7358King's Own Yorkshire Light Infantry09/02/1916 Age: 37 C. 23. United Kingdom Sapper 157761Royal Engineers06/03/1917 M. 15. United Kingdom Lance Corporal 18142Northamptonshire Regiment18/02/1917 M. 33. United Kingdom Private 6389Black Watch (Royal Highlanders)04/01/1917 F. 11. United Kingdom Private 12165Northamptonshire Regiment05/08/1916 H. 22. United Kingdom Lance Corporal 10152Cameronians (Scottish Rifles)22/04/1916 D. 30. United Kingdom Private G/53739Royal Fusiliers25/12/1916 K. 40. Australian Private 31995Australian Infantry A.I.F.30/05/1917 Age: 31 A. 34. United Kingdom Driver 9685Royal Field Artillery15/10/1916 Age: 23 J. 11. United Kingdom Private 13431Border Regiment01/07/1916 Age: 23 F. 55. United Kingdom Private 306593Duke of Wellington's (West Riding Regiment)20/03/1917 M. 9. United Kingdom Private G/23626Queen's Own (Royal West Kent Regiment)23/01/1917 Age: 18 L. 6. United Kingdom Acting Bombardier 11486Royal Field Artillery29/10/1916 Age: 22 L. 45. United Kingdom Private 9182Devonshire Regiment05/06/1916 Age: 21 C. 38. United Kingdom Second Lieutenant Devonshire Regiment05/06/1916 Age: 19 C. 39. United Kingdom Gunner 3322Royal Field Artillery16/12/1916 L. 25. Australian Private 2317Australian Infantry A.I.F.31/03/1917 N. 15. 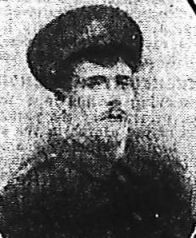 United Kingdom Private 21232West Yorkshire Regiment (Prince of Wales's Own)24/04/1916 Age: 26 E. 30. United Kingdom Private TF/3566Royal Sussex Regiment16/08/1916 Age: 24 G. 22. Australian Private 5143Australian Infantry A.I.F.27/03/1917 N. 4. United Kingdom Private 17245Cameronians (Scottish Rifles)16/05/1916 E. 35. United Kingdom Private G/16868Royal Fusiliers04/10/1916 K. 50. Australian Private 3371Australian Infantry A.I.F.30/04/1917 N. 47. United Kingdom Private 31183 10th (Prince of Wales's Own Royal) Hussars10/10/1916 K. 43. United Kingdom Lance Serjeant 515Rifle Brigade26/06/1916 F. 5. United Kingdom Lance Corporal 8220West Yorkshire Regiment (Prince of Wales's Own)01/07/1916 F. 53. Australian Corporal 3559Australian Infantry A.I.F.11/04/1917 Age: 22 N. 36. United Kingdom Private 13002Highland Light Infantry08/03/1916 D. 10. United Kingdom Second Lieutenant Royal Garrison Artillery05/07/1916 Age: 21 F. 56. United Kingdom Private 265681Gordon Highlanders22/12/1916 Age: 25 K. 14. Australian Private 722AAustralian Infantry A.I.F.15/04/1917 Age: 25 N. 45. United Kingdom Sapper 132958Royal Engineers08/12/1916 L. 37. Australian Private 1691Australian Infantry A.I.F.01/04/1917 N. 24. United Kingdom Private 5671Royal Warwickshire Regiment11/01/1917 F. 12. United Kingdom Second Lieutenant Royal Field Artillery01/12/1916 Age: 34 M 45. Australian Gunner 323Australian Heavy Artillery16/11/1916 Age: 19 L. 34. United Kingdom Gunner 50804Royal Garrison Artillery26/07/1916 Age: 20 H. 35. United Kingdom Private 33486Highland Light Infantry20/02/1917 L. 17. United Kingdom Private 15261Border Regiment22/01/1916 Age: 20 C. 14. United Kingdom Rifleman 5/9280Rifle Brigade30/06/1916 E. 1. United Kingdom Private 9818East Yorkshire Regiment19/09/1916 J. 42. United Kingdom Private 15178Lancashire Fusiliers10/03/1916 Age: 21 C. 35. United Kingdom Private 2596Black Watch (Royal Highlanders)30/11/1915 C. 4. Australian Lance Corporal 2525Australian Infantry A.I.F.10/04/1917 Age: 39 N. 37. 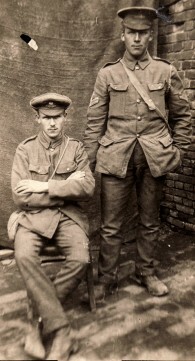 United Kingdom Private 14437York and Lancaster Regiment17/06/1916 D. 40. United Kingdom Lieutenant Colonel Royal Fusiliers17/02/1917 Age: 38 M. 30. United Kingdom Gunner 546Royal Field Artillery27/08/1916 Age: 23 G. 45. United Kingdom Private G/5841East Surrey Regiment03/07/1916 F. 44. Australian Second Lieutenant Australian Infantry A.I.F.18/07/1917 A. 38. United Kingdom Private 29298Royal Welsh Fusiliers15/06/1917 Age: 23 A. 37. United Kingdom Private 2537Lancashire Fusiliers02/10/1915 Age: 38 A. 21. United Kingdom Lance Corporal 95330Glasgow Yeomanry (Queen's Own Royal)31/03/1917 N. 18. United Kingdom Lance Corporal G/32019Royal Fusiliers04/10/1916 Age: 38 K. 53. United Kingdom Private G/2212Royal Sussex Regiment20/09/1916 Age: 31 J. 45. United Kingdom Rifleman S/8678Rifle Brigade26/06/1916 Age: 21 F. 8. United Kingdom Lieutenant Royal Engineers27/08/1918 J. 47. United Kingdom Gunner 45878Royal Garrison Artillery25/07/1916 Age: 25 H. 36. United Kingdom Gunner 65849Royal Garrison Artillery05/06/1916 Age: 24 B. 33. United Kingdom Private 17902Border Regiment14/09/1916 J. 41. Canadian Lieutenant Canadian Field Artillery30/09/1916 Age: 20 J. 7. United Kingdom Private 15401Highland Light Infantry22/04/1916 E. 33. United Kingdom Captain Royal Garrison Artillery30/09/1916 Age: 38 J. 9. United Kingdom Private 13423Highland Light Infantry17/03/1916 Age: 28 D. 20. United Kingdom Private 2412Lancashire Fusiliers21/10/1915 Age: 22 B. 25. United Kingdom Driver 14476Royal Field Artillery03/02/1917 K. 5. Australian Corporal 2718Australian Infantry A.I.F.16/04/1917 Age: 22 N. 44. United Kingdom Sapper 3073Royal Engineers18/08/1916 G. 40. United Kingdom Major The Loyal North Lancashire Regiment30/10/1915 Age: 32 B. 26. United Kingdom Lieutenant South Wales Borderers10/06/1916 Age: 21 B. 34. United Kingdom Rifleman 3223Royal Irish Rifles28/06/1916 Age: 30 F. 4. United Kingdom Rifleman S/6435Rifle Brigade27/05/1916 E. 7. Australian Private 4568Australian Infantry A.I.F.14/05/1917 C. 44. United Kingdom Rifleman S/10301Rifle Brigade26/06/1916 F. 7. United Kingdom Private G/26990Royal Fusiliers10/09/1916 G. 42. United Kingdom Private 20508Devonshire Regiment08/06/1916 Age: 23 C. 40. United Kingdom Serjeant 7203East Lancashire Regiment02/11/1916 L. 48. United Kingdom Private 19691Border Regiment31/05/1916 Age: 25 C. 36. United Kingdom Sapper 7966Royal Engineers11/09/1916 Age: 32 J. 39. United Kingdom Private 27417The Loyal North Lancashire Regiment25/10/1916 Age: 25 K. 32. United Kingdom Private TF/2848Royal Sussex Regiment21/08/1916 Age: 18 G. 14. United Kingdom Private 6632East Lancashire Regiment14/11/1916 L. 39. United Kingdom Corporal 13346Norfolk Regiment18/02/1917 M. 36. United Kingdom Private 7253Cameronians (Scottish Rifles)22/04/1916 D. 31. United Kingdom Private 2731Lancashire Fusiliers21/08/1915 Age: 20 B. 8. United Kingdom Private 1924Royal Fusiliers14/02/1917 Age: 25 L. 20. United Kingdom Private 16310York and Lancaster Regiment08/04/1916 Age: 25 D. 24. Indian Labourer 1042Indian Labour Corps18/10/1917 M. 52. United Kingdom Private 4576Machine Gun Corps (Infantry)26/11/1916 Age: 28 L. 42. United Kingdom Second Lieutenant Royal Flying Corps09/09/1917 Age: 25 G. 35. United Kingdom Private 27548King's Own (Royal Lancaster Regiment)24/10/1916 Age: 37 K. 33. 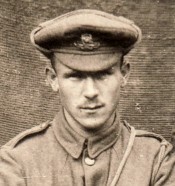 United Kingdom Captain Rifle Brigade14/06/1916 Age: 22 B. 35. United Kingdom Private G/860Middlesex Regiment20/06/1916 E. 4. United Kingdom Captain Royal Fusiliers07/07/1916 Age: 26 H. 32. United Kingdom Private 9294Devonshire Regiment05/06/1916 Age: 23 D. 36. United Kingdom Sapper 69834Royal Engineers30/07/1916 G. 20. United Kingdom Private 72927Royal Army Medical Corps17/02/1917 Age: 22 M. 34. United Kingdom Private 20350Royal Warwickshire Regiment12/01/1917 F. 1. United Kingdom Serjeant 12589Northamptonshire Regiment05/08/1916 Age: 20 H. 23. United Kingdom Private 51074Royal Army Medical Corps03/07/1916 Age: 20 F. 3. United Kingdom Private 23518King's Own Yorkshire Light Infantry26/01/1916 C. 20. United Kingdom Gunner 4695Royal Field Artillery16/12/1916 Age: 26 L. 24. United Kingdom Private 22106South Lancashire Regiment03/09/1916 H. 8. United Kingdom Private 2939Highland Light Infantry14/04/1916 Age: 22 D. 25. United Kingdom Private 2939Cameronians (Scottish Rifles)06/06/1917 D. 37. United Kingdom Second Lieutenant Manchester Regiment04/07/1916 F. 65. United Kingdom Serjeant 1003Royal Field Artillery23/08/1916 Age: 33 G. 28. United Kingdom Private G/31265Royal Fusiliers13/10/1916 Age: 24 L. 52. United Kingdom Private G/31274Royal Fusiliers13/10/1916 L. 53. United Kingdom Lance Corporal 1011Argyll and Sutherland Highlanders20/12/1915 A. 32. United Kingdom Private TF/2896Royal Sussex Regiment18/08/1916 G. 24. United Kingdom Gunner 1373Royal Field Artillery01/10/1916 Age: 24 J. 17. United Kingdom Private 3570The King's (Liverpool Regiment)09/09/1915 B. 3. United Kingdom Private 2628The Loyal North Lancashire Regiment06/11/1915 B. 30. United Kingdom Corporal 4023The King's (Liverpool Regiment)19/09/1915 B. 20. Australian Private 1762Australian Infantry A.I.F.01/04/1917 Age: 26 N. 19. Australian Driver 3399Australian Field Artillery06/06/1917 Age: 20 A. 35. United Kingdom Private 15079Sherwood Foresters (Notts and Derby Regiment)05/04/1916 Age: 23 D. 17. Australian Private 1957Australian Infantry A.I.F.29/03/1917 N. 10. United Kingdom Corporal 15416Highland Light Infantry16/03/1916 D. 16. United Kingdom Serjeant 15418Highland Light Infantry14/04/1916 D. 27. Australian Driver 6555Australian Army Service Corps08/04/1917 Age: 24 N. 42. United Kingdom Private 12473King's Own Yorkshire Light Infantry09/02/1916 C. 25. United Kingdom Private 16/219Northumberland Fusiliers06/03/1916 Age: 23 D. 9. United Kingdom Private 15478Norfolk Regiment03/07/1916 F. 54. United Kingdom Private G/31280Royal Fusiliers11/09/1916 Age: 22 G. 43. United Kingdom Private 15609The Loyal North Lancashire Regiment06/11/1916 Age: 41 K. 27. United Kingdom Private G/646The Queen's (Royal West Surrey Regiment)30/07/1916 H. 29. United Kingdom Private 14670Highland Light Infantry31/01/1916 Age: 23 C. 19. Canadian Private 1081971Canadian Railway Troops04/02/1917 Age: 47 L. 13. United Kingdom Private 17092Norfolk Regiment03/07/1916 F. 52. Australian Lieutenant Australian Field Artillery15/04/1917 Age: 31 M. 51. United Kingdom Rifleman 1843Royal Irish Rifles30/06/1916 Age: 18 F. 18. United Kingdom Captain The Queen's (Royal West Surrey Regiment)03/07/1916 Age: 22 H. 33. United Kingdom Lance Corporal 21818Royal Berkshire Regiment17/02/1917 M. 32. United Kingdom Acting Bombardier 24810Royal Garrison Artillery18/12/1916 K. 17. United Kingdom Second Lieutenant Royal Fusiliers12/02/1917 Age: 35 L. 15. United Kingdom Private 11219Devonshire Regiment01/07/1916 F. 28. Australian Private 2243Australian Infantry A.I.F.03/04/1917 Age: 24 N. 23. Australian Second Lieutenant Australian Infantry A.I.F.25/07/1917 Age: 23 A. 41. United Kingdom Sapper 146904Royal Engineers16/08/1916 Age: 30 H. 12. United Kingdom Private 15797Highland Light Infantry23/04/1916 E. 32. United Kingdom Private 10171Army Cyclist Corps02/05/1916 E. 23. United Kingdom Private T/248654Army Service Corps02/12/1916 L. 30. Canadian 2nd Corporal 500252Canadian Engineers21/08/1916 Age: 32 G. 31. United Kingdom Serjeant L/12391Royal Field Artillery29/02/1916 C. 2. United Kingdom Gunner 3675Royal Field Artillery16/12/1916 Age: 21 L. 27. United Kingdom Second Lieutenant The Queen's (Royal West Surrey Regiment)05/08/1916 Age: 29 H. 24. Australian Lieutenant Australian Infantry A.I.F.29/03/1917 Age: 27 M. 3. United Kingdom Private 11009Royal Berkshire Regiment03/07/1916 F. 50. United Kingdom Second Lieutenant Northamptonshire Regiment06/07/1916 Age: 29 G. 6. United Kingdom Lance Corporal 61963Royal Engineers05/08/1916 H. 26. United Kingdom Private S/335Royal Sussex Regiment29/01/1917 K. 7. Australian Sergeant 1776Australian Infantry A.I.F.27/03/1917 Age: 24 N. 2. United Kingdom Lance Corporal G/1806Royal Fusiliers26/03/1917 Age: 27 M. 5. United Kingdom Private 5059 10th (Prince of Wales's Own Royal) Hussars10/10/1916 Age: 35 K. 45. United Kingdom Second Lieutenant Royal Engineers04/12/1916 Age: 31 M. 44. United Kingdom Private 24351King's Own Yorkshire Light Infantry05/02/1916 D. 2. United Kingdom Lieutenant West Yorkshire Regiment (Prince of Wales's Own)02/06/1916 E. 38. United Kingdom Private 1422The Loyal North Lancashire Regiment05/09/1915 Age: 19 B. 4. United Kingdom Company Serjeant Major 97643Royal Engineers25/01/1917 E. 40. United Kingdom Private 1183Black Watch (Royal Highlanders)30/11/1915 C. 3. United Kingdom Private 22563Border Regiment15/09/1916 J. 2. United Kingdom Private 3599Yorkshire Dragoons Yeomanry (Queen's Own)21/10/1916 K. 36. United Kingdom Gunner 1612Royal Field Artillery17/12/1916 Age: 28 K. 19. United Kingdom Private 29524Essex Regiment11/03/1917 M. 13. United Kingdom Private 27249The Loyal North Lancashire Regiment01/10/1916 Age: 20 J. 15. 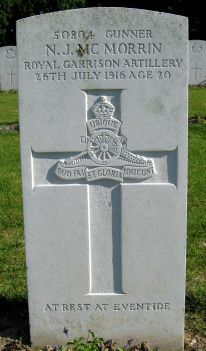 United Kingdom Private 71938The King's (Liverpool Regiment)23/05/1917 Age: 25 C. 44. United Kingdom Private 15238Lancashire Fusiliers10/03/1916 Age: 40 C. 34. United Kingdom Captain Lancashire Fusiliers06/05/1916 Age: 28 E. 26. United Kingdom Captain Wiltshire Regiment13/11/1916 M. 46. United Kingdom Corporal 3115Worcestershire Regiment04/12/1916 Age: 30 L. 38. United Kingdom Private 21428West Yorkshire Regiment (Prince of Wales's Own)14/05/1916 E. 14. United Kingdom Private 1913The King's (Liverpool Regiment)26/08/1915 Age: 22 B. 7. United Kingdom Private 3/5165Devonshire Regiment14/05/1916 Age: 30 D. 34. United Kingdom Corporal 16464Northamptonshire Regiment08/08/1916 Age: 21 H. 20. United Kingdom Corporal 3/10595Northamptonshire Regiment08/07/1916 Age: 41 F. 61. United Kingdom Private 10340Army Cyclist Corps02/05/1916 E. 24. United Kingdom Private G/32085Royal Fusiliers04/10/1916 K. 52. Australian Private 2032Australian Infantry A.I.F.28/03/1917 Age: 22 N. 9. United Kingdom Lance Corporal 10877Royal Berkshire Regiment22/05/1916 Age: 21 E. 11. United Kingdom Private 22925King's Own Yorkshire Light Infantry09/02/1916 Age: 27 C. 28. United Kingdom Private 85493Royal Flying Corps26/10/1917 L. 54. United Kingdom Serjeant 10380Cameronians (Scottish Rifles)06/06/1917 D. 38. United Kingdom 2nd Corporal 49343Royal Engineers12/09/1916 J. 34. United Kingdom Second Lieutenant Lincolnshire Regiment18/09/1916 J. 31. United Kingdom Captain Royal Field Artillery24/07/1916 Age: 38 H. 40. United Kingdom Private 43238Northamptonshire Regiment28/03/1917 N. 5. United Kingdom Private 7501Royal Berkshire Regiment16/02/1917 Age: 30 M. 41. United Kingdom Lance Corporal 21534Border Regiment15/09/1916 J. 5. United Kingdom Private L/12453Middlesex Regiment18/05/1916 E. 12. United Kingdom Corporal 8540Devonshire Regiment22/04/1916 D. 29. United Kingdom Pioneer 155223Royal Engineers27/06/1916 Sp. Mem. 1. United Kingdom Lance Corporal 7655Royal Irish Rifles01/07/1916 Age: 28 F. 16. United Kingdom Private S/13106Seaforth Highlanders19/12/1916 Age: 30 K. 13. United Kingdom Gunner 85761Royal Field Artillery11/07/1916 Age: 25 G. 16. United Kingdom Sapper 492449Royal Engineers26/08/1917 Age: 28 G. 11. United Kingdom Rifleman 2328Royal Irish Rifles01/07/1916 F. 23. United Kingdom Private 17/871Northumberland Fusiliers08/11/1916 K. 26. United Kingdom Private G/23Middlesex Regiment09/05/1916 E. 18. United Kingdom Private 2106Cameronians (Scottish Rifles)12/12/1915 Age: 19 C. 5. United Kingdom Private G/91Royal Sussex Regiment20/09/1916 J. 44. United Kingdom Private 20839Northamptonshire Regiment09/08/1916 Age: 33 H. 16. United Kingdom Private 39447South Wales Borderers15/11/1916 Age: 19 Sp. Mem. 2. United Kingdom Captain Lincolnshire Regiment18/09/1916 Age: 26 J. 32. United Kingdom Sapper 157762Royal Engineers06/03/1917 M. 16. United Kingdom Private 10643Cameronians (Scottish Rifles)22/04/1916 D. 32. 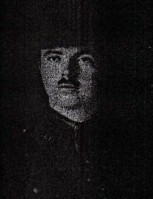 United Kingdom Lieutenant Royal Field Artillery31/10/1916 Age: 21 L. 50. United Kingdom Bombardier 19601Royal Garrison Artillery23/08/1916 H. 3. Australian Private 4906Australian Infantry A.I.F.11/04/1917 Age: 22 N. 39. United Kingdom Private 3087Lancashire Fusiliers31/10/1915 Age: 18 B. 27. United Kingdom Gunner 93063Royal Field Artillery10/10/1916 J. 13. United Kingdom Private 4696Seaforth Highlanders02/12/1916 L. 32. United Kingdom Lieutenant Colonel 2nd Life Guards18/11/1916 M. 50. United Kingdom Sapper 24584Royal Engineers19/07/1916 Age: 21 G. 18. United Kingdom Serjeant 9311Royal Berkshire Regiment01/07/1916 F. 29. United Kingdom Rifleman 11224Royal Irish Rifles27/06/1916 B. 39. United Kingdom Private G/1649Royal Fusiliers17/02/1917 M. 40. United Kingdom Private 13270Northamptonshire Regiment05/08/1916 H. 21. United Kingdom Private 22297King's Own Yorkshire Light Infantry09/02/1916 C. 26. United Kingdom Private 2225King's Own (Royal Lancaster Regiment)31/10/1915 A. 24. United Kingdom Private 6408Wiltshire Regiment10/10/1916 K. 37. United Kingdom Private 4789Gloucestershire Regiment10/12/1916 K. 22. United Kingdom Private 14303Highland Light Infantry15/02/1916 C. 33. United Kingdom Private 22754 10th (Prince of Wales's Own Royal) Hussars10/10/1916 K. 46. United Kingdom Sapper 1357Royal Engineers15/08/1916 G. 40. United Kingdom Private 15230Lancashire Fusiliers10/03/1916 D. 12. Australian Private 5669Australian Infantry A.I.F.27/03/1917 Age: 24 N. 6. United Kingdom Private 10924Lancashire Fusiliers06/05/1916 E. 21. Australian Private 6371Australian Infantry A.I.F.17/04/1917 Age: 26 N. 46. United Kingdom Lance Corporal G/28212Middlesex Regiment11/02/1917 L. 16. United Kingdom Private 3887Yorkshire Dragoons Yeomanry (Queen's Own)21/10/1916 Age: 20 K. 35. Australian Private 4535Australian Infantry A.I.F.25/08/1916 Age: 20 H. 4. United Kingdom Gunner 24773Royal Garrison Artillery18/12/1916 Age: 28 K. 16. United Kingdom Second Lieutenant The Queen's (Royal West Surrey Regiment)29/07/1916 Age: 21 H. 30. United Kingdom Company Serjeant Major 4904Northamptonshire Regiment08/08/1916 H. 18. United Kingdom Private 4747Seaforth Highlanders02/12/1916 Age: 24 L. 31. United Kingdom Private 3704Seaforth Highlanders16/11/1915 Age: 20 A. 28. United Kingdom Lance Corporal 14654Northamptonshire Regiment17/02/1917 M. 37. United Kingdom Private 10039Northamptonshire Regiment02/08/1916 F. 63. United Kingdom Company Serjeant Major 17582South Wales Borderers03/09/1916 Age: 34 H. 7. United Kingdom Private 3447Highland Light Infantry15/02/1916 Age: 23 C. 32. United Kingdom Private G/61934Royal Fusiliers23/01/1917 Age: 19 K. 8. Canadian Private 706640Canadian Forestry Corps31/10/1917 Age: 34 K. 54. United Kingdom Serjeant 7310Devonshire Regiment17/06/1916 C. 41. United Kingdom Private G/26917Royal Fusiliers10/09/1916 Age: 36 G. 41. United Kingdom Private 37083Gloucestershire Regiment09/11/1916 Age: 26 L. 43. United Kingdom Lieutenant Colonel Royal Field Artillery28/09/1916 Age: 33 J. 46. United Kingdom Private 31400 10th (Prince of Wales's Own Royal) Hussars10/10/1916 Age: 21 K. 48. United Kingdom Private 9671Cameronians (Scottish Rifles)01/07/1916 F. 25. United Kingdom Private 8532 10th (Prince of Wales's Own Royal) Hussars10/10/1916 K. 42. United Kingdom Private 240964Yorkshire Regiment05/08/1917 H. 10. United Kingdom Private 10905West Yorkshire Regiment (Prince of Wales's Own)06/06/1916 Age: 32 E. 41. United Kingdom Private 12579The Loyal North Lancashire Regiment13/11/1916 Age: 19 L. 41. United Kingdom Private 25014East Lancashire Regiment02/11/1916 Age: 32 L. 47. United Kingdom Private L/10677Queen's Own (Royal West Kent Regiment)02/08/1916 H. 28. Australian Private 2529Australian Infantry A.I.F.11/04/1917 N. 38. United Kingdom Rifleman S/6904Rifle Brigade27/05/1916 Age: 34 E. 10. United Kingdom Private 15310Border Regiment10/02/1916 C. 29. Canadian Private 148102Canadian Infantry (Saskatchewan Regiment)10/09/1916 H. 42. Australian Private 5112Australian Infantry A.I.F.03/04/1917 Age: 31 N. 26. United Kingdom Lance Corporal 4/19044West Yorkshire Regiment (Prince of Wales's Own)19/06/1916 C. 1. United Kingdom Lance Serjeant 13203Border Regiment11/02/1916 Age: 24 D. 3. United Kingdom Lance Corporal 1462King's Own (Royal Lancaster Regiment)17/08/1915 B. 9. United Kingdom Captain South Staffordshire Regiment10/09/1916 Age: 22 G. 47. United Kingdom Private 20346Gloucestershire Regiment08/12/1916 Age: 19 L. 40. United Kingdom Second Lieutenant Royal Warwickshire Regiment15/09/1916 J. 1. United Kingdom Captain The Queen's (Royal West Surrey Regiment)03/07/1916 Age: 49 H. 34. United Kingdom Lance Corporal 13418Worcestershire Regiment06/10/1916 J. 14. United Kingdom Corporal 6456Essex Regiment03/07/1916 Age: 28 G. 12. United Kingdom Private 15581West Yorkshire Regiment (Prince of Wales's Own)25/04/1916 E. 29. United Kingdom Lieutenant Royal Field Artillery19/09/1916 Age: 24 G. 44. United Kingdom Private 1394Highland Light Infantry20/01/1916 C. 13. United Kingdom Lance Corporal G/40082Middlesex Regiment19/03/1917 Age: 24 M. 10. United Kingdom Lieutenant Lothians and Border Horse21/03/1917 Age: 31 M. 8. United Kingdom Second Lieutenant Lancashire Fusiliers06/05/1916 Age: 20 E. 25. United Kingdom Private M2/055082Army Service Corps12/06/1917 A. 36. Australian Private 5797Australian Infantry A.I.F.02/04/1917 Age: 22 N. 22.